Sometimes it becomes necessary for a homeowner to call a plumber for those household jobs they just can’t fix on their own. As a homeowner, there comes a time when we come face to face with the local plumber. Whether it is an emergency or whether it is for a routine preventative maintenance check, you want him to be reputable. However, one of the main things you want your plumber to also be is affordable. Homeowners usually cringe at the thought of having to call on certain professionals, such as a plumber, a roofer, an electrician or an auto mechanic. This is because unless we already have in-depth knowledge about these professions, there is no way we can accurately estimate the amount of the cost, and the cost usually ends up being more than we are prepared to pay. However, if you are a resident of California, you will be able to find a reputable professional who is accustomed to doing plumbing in Anaheim. 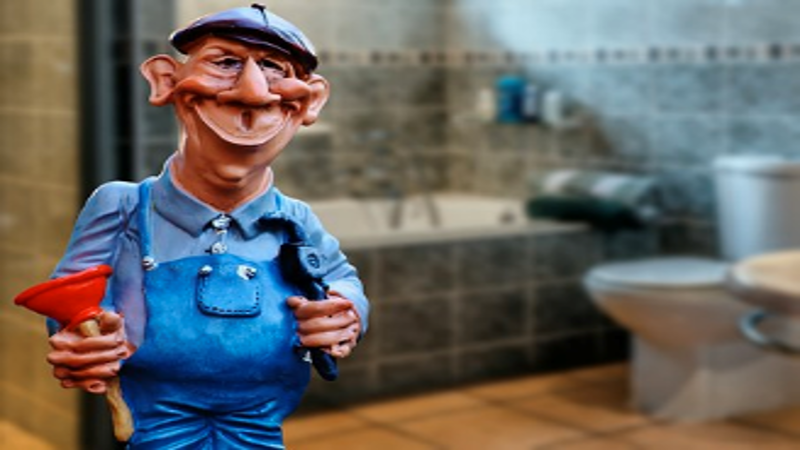 Even though finding a plumber will be an easy feat, you still want to give yourself the peace of mind by doing your research and making certain that the plumber that comes to your home is licensed. When you see that the company is not licensed, you should immediately select another plumbing business. For your own protection, you also need to make certain that the company is insured because you never know if there will be a plumbing disaster on your property or worse yet, your neighbor’s property. Also, make sure to check referrals and see if they offer any guarantee on their work. This is especially necessary if you have a serious problem such as a sewer line stoppage that is backing up into the bathtub or the sink. This particular situation is not for the guy that thinks he can do it himself. This is a professional plumbing job that needs to be corrected by a licensed plumber. There is way too much at risk for any homeowner to attempt turning this into a “Weekend Warrior” type project. You may also experience a time when you have no hot water. If this is the case, the problem may be at the panel breaker. Homeowners should check to see if the circuit has tripped. The process is much different with a gas water heater. With a gas water heater, the homeowner would need to make certain that the pilot light is still on. However, if you have discovered that your hot water heater is leaking, then you need to pick up the phone and call a reputable plumber. It is not recommended that you take on a plumbing job that you already know is too daunting for you to do. Other household nuisances are dripping faucets and leaking toilets. These aggravating predicaments are two of the very things that can run a homeowner’s water bill through the roof if they are not amended expeditiously and properly. Sometimes the household handyman can fix the dripping faucet. All that may be needed is a new washer or a hose valve. Most homeowners will choose to jiggle the handle on the toilet in order to stop it from running before they call in a plumber or they can save themselves some money by replacing the inner tank kit. These kits can be purchased for a reasonable amount of money from either your local hardware store or your neighborhood home improvement center. So, if you find yourself in a position where you know that you have need for a professional plumber—give yourself the peace of mind and make certain that you do adequate research before you have a company send someone to your home to assess your problem.